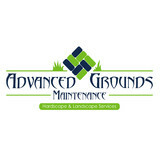 Advanced Grounds Maintenance, LLC has been creating unique environments since 1995. Our company has built a reputation for providing superior lawn care service and landscape designs. Our team is the most dedicated and detailed in the industry. We make it a point to keep up with the latest trends to make your outdoor living area enjoyable. From lawn treatments to weekly grass mowing, landscape design & installation and outdoor living spaces, you can count on us to provide the best quality service. Full service granite cutting and installation company. We install granite countertops and amenities in Louisville KY. Also granite and marble in baths and fireplaces, along with full exterior stone facades. 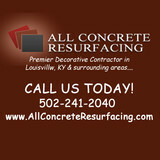 A-1 Concrete Leveling Louisville serves the greater Louisville, Kentucky and Southern Indiana (Kentuckiana) area. We are part of the A-1 National Franchise Network, the largest concrete leveling company in the nation. A-1 Concrete Leveling Louisville is fully insured and we are so confident we will provide the highest quality service that we back every concrete leveling or mudjacking job with a one-year guarantee. We are a trusted decorative concrete contractor that has been providing Louisville homeowners and businesses with professional service and quality work at affordable prices. Looking to have an enjoyable outdoor space to entertain guest or just relax on a nice fall day. Maybe you want to improve your lawn or landscape to give that attractive curb appeal you have always desired. Then you are stepping in the right direction, by having our team help you with your project from start to finish. For all projects small or large we treat every property with the same respect as if it were our own. Decorative Concrete Resurfacing Turning ordinary concrete to Extraordinary spaces. Korfhage Concrete, LLC. provides residential and commercial concrete services. We work with our customers to turn their vision into reality, in addition to providing after service support. We provide free estimates and we are fully insured. 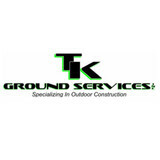 We are a family owned and operated company that has been fixing foundations for three generations. 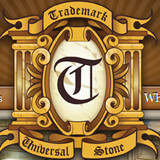 We formed our own business in early 1999. We have two owners of the company, Gary and his nephew Chris. Gary is a skilled mason with many years in that industry. Chris, on the other hand, has a vast knowledge and experience in concrete construction. Both Gary and Chris have Been fixing foundations for a combined 50 years. Our crew consists of mainly family members who have been trained first hand by Chris/Gary to uphold the highest standards of quality and professionalism . You can trust that with hiring C.King construction to permanently fix your basement issues you will be hiring one of the most experienced crews in the industry. Please contact us for all your paving needs! Offering decorative concrete solutions including staining, stamping, and overlays. Since 1988 Commonwealth Paving has been the complete asphalt contractor, from design to striping, for our customers in Jefferson and surrounding counties. The owners continue to take a "hands on" approach to their business, providing personal service to ensure the highest quality and professionalism. Is it time you spruced up your outdoor living spaces? Creative Louisville pavers, masonry contractors and stone suppliers can help. Professionals specializing in hardscape such as walkways, patios and retaining walls will work with you to design, plan, install and even fix your exterior and interior home projects. Read further to learn how to best find and work with Louisville, KY stone, brick, paver and concrete contractors. For the most part, people hire a stone or concrete contractor for large installations like driveways and walkways, or for home facades and exterior columns. These brick, pavers or stonework installations can add lots of functionality and visual curb appeal to your Kentucky home. Pavers come in a wide variety of colors, shapes and sizes, and the right vendor or specialist can help you choose a color and design that complements your existing landscaping. From installing new exterior columns to repairing your chimney, masonry contractors can help you add both visual appeal and value to your property. They’ll know what kind of installation makes the most sense for your Louisville, KY climate and regional style. Looking for something that will develop a patina with time? Or would you rather have your home feel brand new for years to come? Choosing the right kind of stone involves thinking about the future, too. Experienced brick suppliers and stone suppliers can help you find the material that will work for your home now and for years to come. These professionals aren’t limited to exterior work either. Whether you want a split-stone granite wall in the kitchen or need help installing traditional brick masonry on your fireplace facade, you’ll want a professional to get it right. If you’re already working with an architect or designer, he or she may be able to suggest a good Louisville, KY subcontractor to help out. Here are some related professionals and vendors to complement the work of stone, pavers & concrete: Landscape Architects & Landscape Designers, Architects & Building Designers, Garden & Landscape Supplies, Driveways & Paving, Siding & Exteriors. Find stone, paver and concrete professionals on Houzz. Search the Houzz Professionals section for Louisville, KY stone, paver and concrete professionals. Browse photos and read reviews, and contact a pro if you like their work.